When you’re researching wholesale mattress distributors who can meet your business needs, there’s no better choice than Beloit. We build handcrafted, affordable quality beds right here in the heart of America to meet the needs of our clients in the hospitality industry. Here’s why you should consider Beloit Mattress for your next bulk order. If your customers aren’t happy with their sleep experience, your business won’t thrive. And when you’re not happy with your customers’ satisfaction, it affects our business. That’s why we strive every day to address each mattress build with precision and patience — regardless of how many beds you order. Leggett and Platt individually wrapped coils, the number one choice for our hotel mattress wholesale customers. These steel springs are are not only strong, durable and supportive, but also offer ultimate comfort by flexing with each movement. Pure Joma Wool, a natural, chemical-free flame retardant that deters moisture and mold growth. We don’t just throw all of our materials on an assembly belt and watch a machine slap them together. We hand stitch each mattress to ensure the filling is distributed evenly and stays in place. When you place a wholesale mattress order with Beloit, you can rest assured you won’t be replacing your hotel beds for many years to come. Don’t worry. Just because we use premium materials doesn’t mean you’ll pay a premium price. Our goal is to make and distribute top quality beds that every hotel can afford. We work with you from the beginning to understand your budget and needs and build custom beds to meet them. 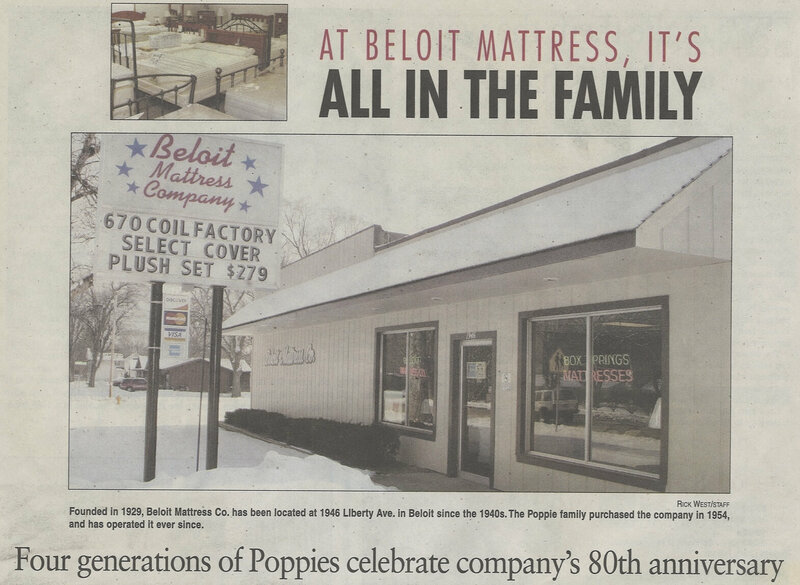 From our family-owned factory in Beloit, Wisconsin, we’re able to ship bulk orders across the nation. No matter where your hotel, motel or resort is located, we’ll build your beds and get them to you quicker than any other wholesale mattress company can! We make durable hand-crafted beds to fit your budget, and we get them to you quickly. That’s everything you need for your wholesale hotel mattress needs. Give us a call and we’ll be happy to discuss further details of why we’re the best choice for your business.